The last few months have yielded some fantastic and challenging projects, including innovative furniture, several new Marine models, strange creatures and new possibilities opening up with our packaging design service. The SMM in Hamburg, Germany wrapped up last week, where two of our models were on display. The first was the HF4 model for Mojo Maritime, featuring a huge loading crane system and smaller knuckle cranes. 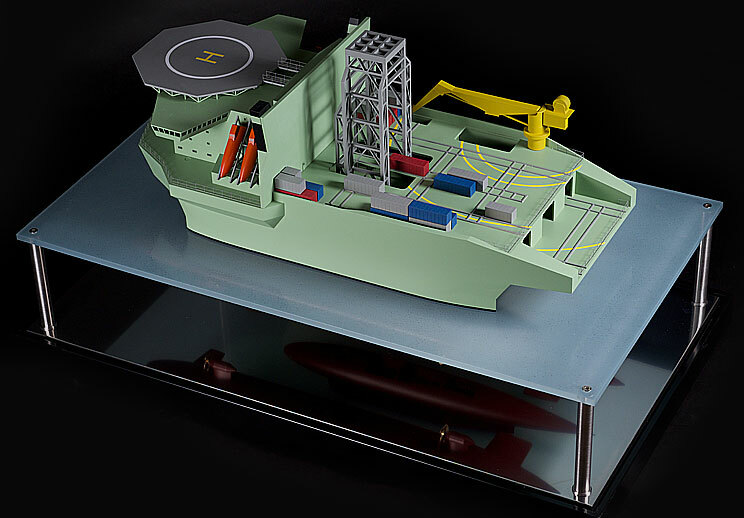 The Swath model for Qinetiq features a unique baseboard design incorporating the ‘sea’ as a structural support for the model, indicating the position of the vessel in the water. The reflective baseboard shows the detail below the waterlines, including locomotive elements and the complex forms of the hull. 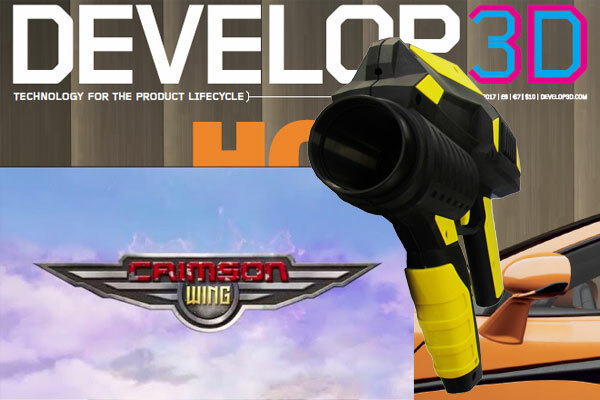 Both models were fabricated with a combination of advanced computer controlled processes and hand-finishing skills, particularly to preserve the sharp lines and broad, unbroken planes of colour of the designs. 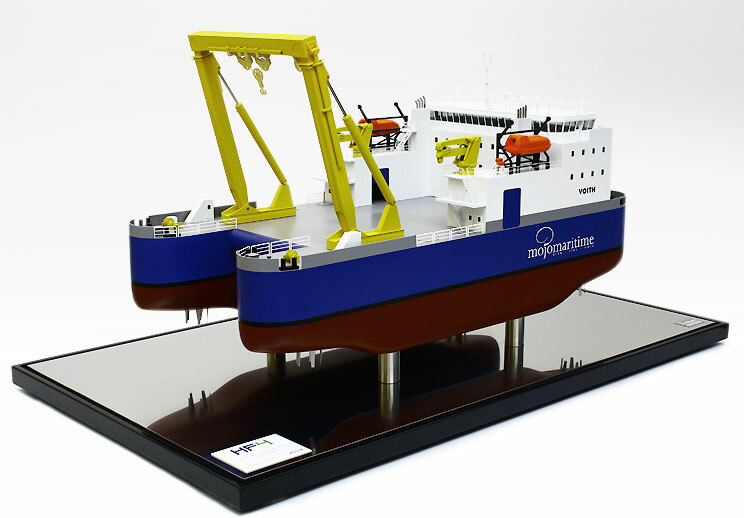 These models add to our family of highly structural industrial marine models, which includes the Asry-Centrax Powerbarge and the BMT Defence Services LSV. Last weekend also saw the resurrection of the Amalgam Recreational Social Excursion Society (which abbreviates nicely) in the form of a canoeing trip down the River Wye. The civility of gently paddling through the countryside quickly descended into chaos, with one canoe in particular ensuring that if you weren’t sinking, you were wet.